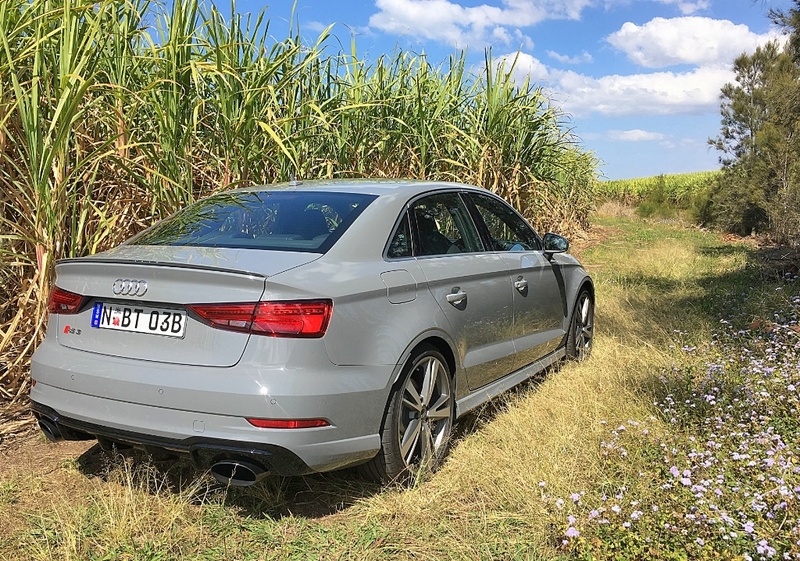 Take the basic A3 package; add a 2.5L five-cylinder all-aluminium engine, and what you end up with is an $85 grand sports sedan that could frighten competitors with supposedly bigger kahunas. Or, at least bigger pricetags. And yes, the RS3’s bark is as big as its bite. 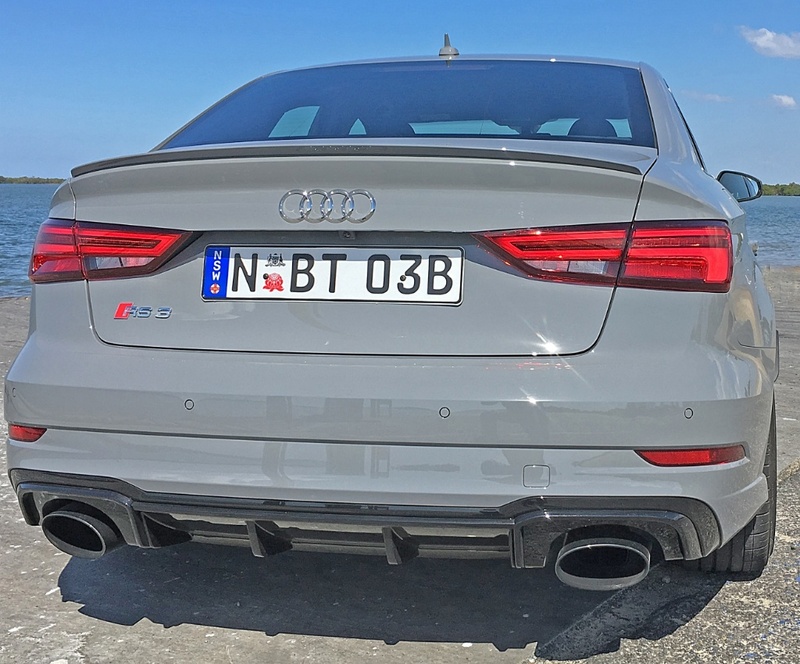 This is one impressive performance package, with threads of the Audi TT RS’s DNA running through its genetic breeding. There are some visual cues too, like the slightly muscular fender flares; side skirts and a sliver of carbon fibre for the trunklid spoiler. 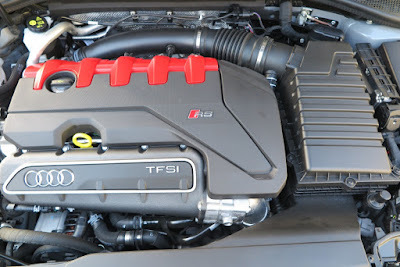 And, of course, those massive megaphones which the RS3 uses to bark its way into the conversation. But, it’s no ‘stick-on badge’ exercise either. The RS moniker is only applied to Audis which come with the sort of performance integrity you’d expect of a company which has won the 24 Hours of Le Mans so many times, it gets to keep a permanent trophy in the display case at Ingolstadt. Having blasted off in the RS3 hatch (Driving & Life, December 2015) and decided it's a racer in street clothes, could there be more to the sedan I didn’t already know? You bet! Not only is the engine lighter, but it also gets plasma-coated cylinders, changes to valve timing, and the turbocharger, so consequently it pumps out an extra 24kW. Then of course there's Quattro AWD, for very grippy handling. Transmission is a 7-speed Twin Clutch, but it features a faster-acting electro-hydraulic multi-plate clutch for snappier gear changes. On that note – don’t forget to mention the exhaust note, JC. 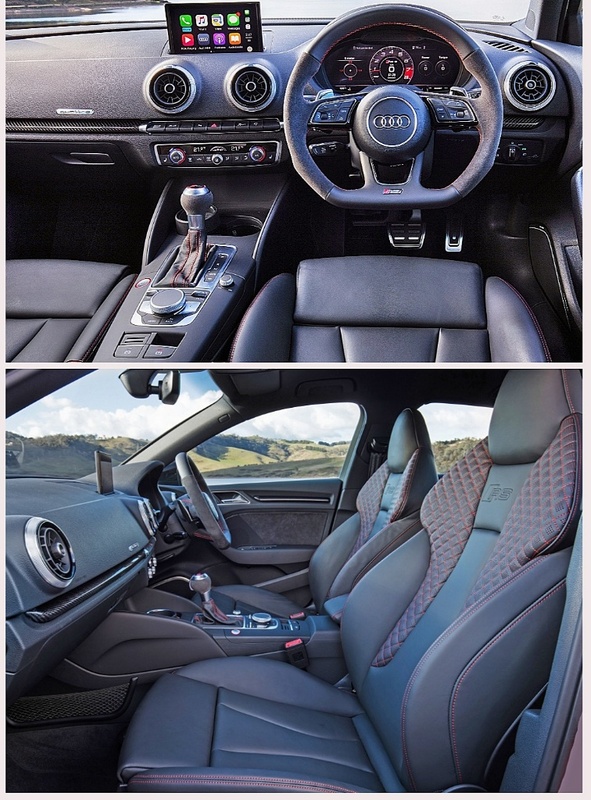 Oh yes, there are steering wheel paddles, but your first introduction to the RS3’s seductive appeal should be on a long straight road in the middle of nowhere; floor the throttle; leave the transmission in auto; wind down both front windows and wait for the ‘bark’ as the DSG box shifts up. It’s a magnificent sound, which could become addictive. Like I said this is a seriously good performance sedan, and it's priced very competitively. Independent road-testing tells us it’s faster than both the Mercedes-Benz AMG CLA 45 sedan, and the BMW M2 coupe – and they cost a lot more too! 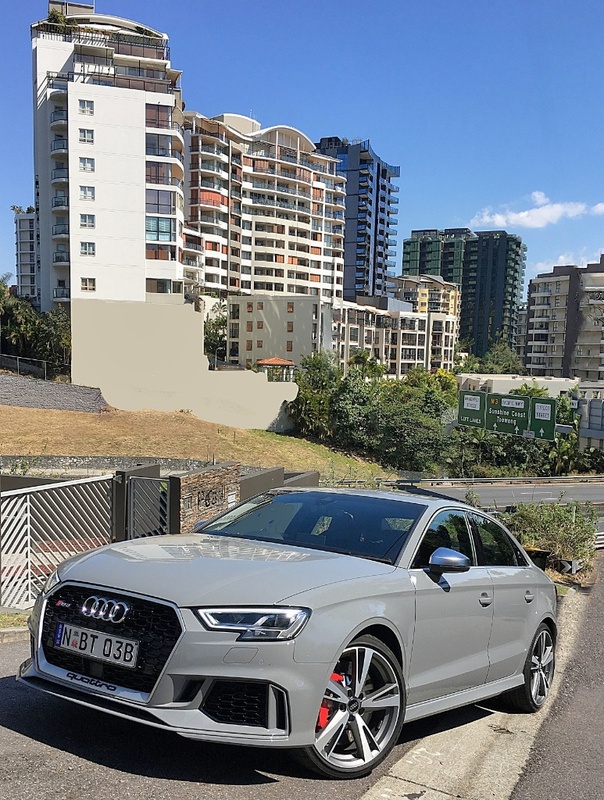 The RS3 is loaded with all the tech you expect (too much to list, but take it from me, it’s loaded); and you get Apple CarPlay, and for even more money getting sucked out of your bank account, there’s the Bang and Olufsen audio system. I really enjoyed this car. It seems to be a better-balanced handler than the RS3 hatch, although there’s no difference in the wheelbase and track – however I think it’s the way the mass of the three boxes are spread across the 4.3m long sedan. My only regret is that Audi should have painted the car a 'colour' instead of leaving it in 'Primer Gray'. COLOR POSTRSCRIPT: On checking the spec sheet, the color is listed as 'Nardo Gray' - that is Nardo, after the high speed test track in Italy. Methinks that was Nardo on a dull, gray, rainy day in December. Audi pines to be perceived as the equal of its two major German competitors, but somehow it always seems to trundle along in third place on the sales charts. However, believe me, there are no real shortcomings in a direct comparison between Audi, BMW and Mercedes-Benz. The difference is that BMW has fostered a very strong brand image for decades, and just recently Mercedes-Benz has discovered how to ‘buy’ market share, by very competitive 'trading'. This leaves Audi as the poor old number three, when there’s no reason it should be. The RS3 sedan has got the goods; and the ‘go’ and as for image, remember Audi's perpetual Le Mans trophy in the display case.